You can't go back again. No matter how you long for the Ultimate Driving Machine that was an '80s stick-shift, straight-six BMW, the cars went out of production decades ago. The only way to really experience them as they were is either dropping serious money on a meticulous nut and bolt restoration or a chance visit to a factory classic fleet. Modern BMWs are good and in numerous, measurable ways better than their older counterparts, but if you really hanker for a late-80s or early-90s 5-series, a 2019 model just isn't the same thing. 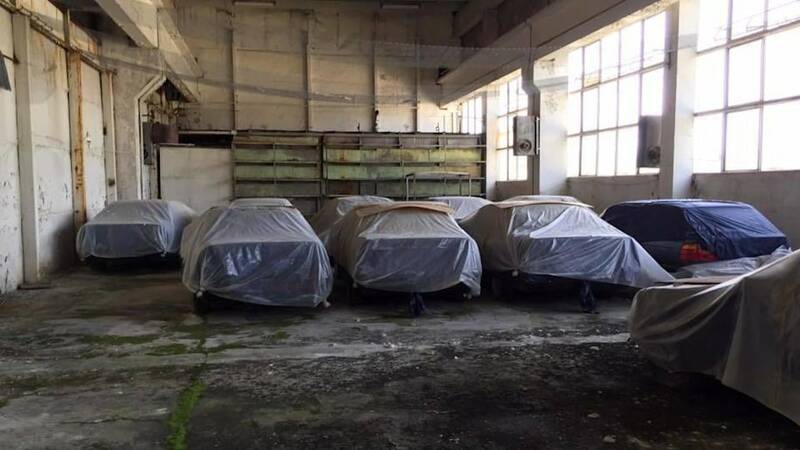 Luckily, every now and them some really weird barn finds come up, giving some lucky enthusiast a chance to relive a car the way it was when it was stored, perhaps new or nearly new. 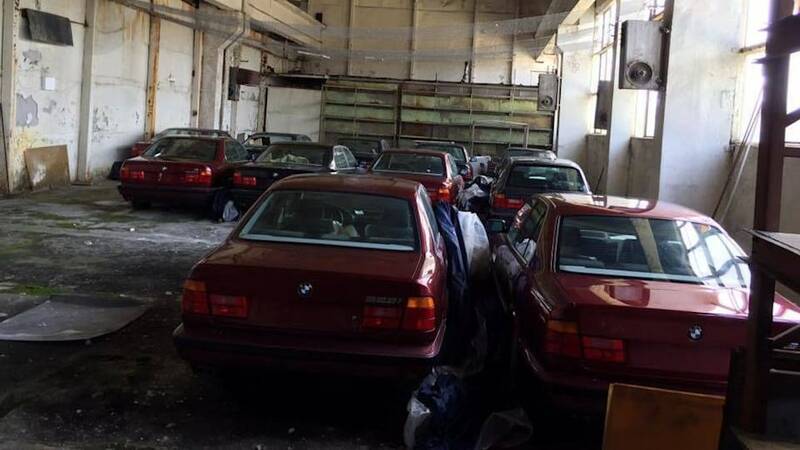 That's the case with this Bulgarian stack of E34 5 Series cars. As Motor1 reports, these 11 BMWs were originally destined for a rental fleet, and for reasons unknown were stashed away instead. Ten of the cars are sedans, and one is a wagon. The storage hasn't been that great, even if the cars have been indoors, as the factory paint now has scratches from the tarps the E34s have worn for ages. At least parts hawks seem to have mostly left the fleet alone. 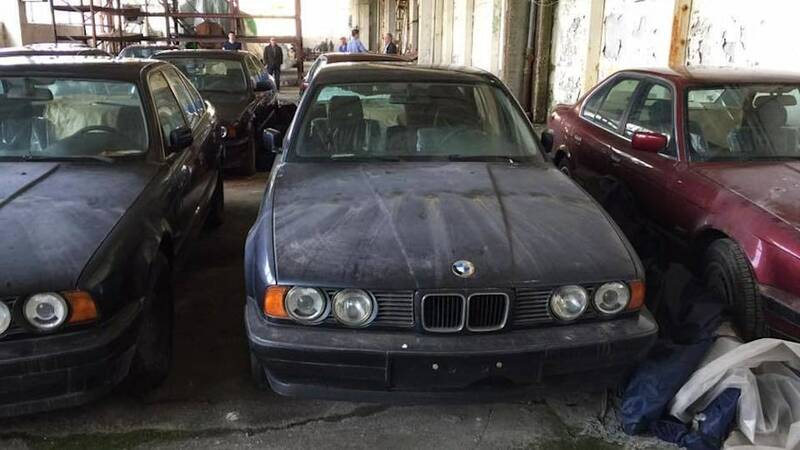 The sources say the narrow-kidney BMWs date back to 1994, and while they still retain factory prints and protective plastic, they're going to take a fair bit of recommissioning to become roadworthy again: there's a bit of broken glass here and there and we presume the cars have been sitting with 1994 gasoline in the system. Another thing is that not all European countries allow putting never-registered 25-year-old cars between new license plates, meaning that it's likely these cars will be exported to an understanding country such as their native Germany. But when the factory fluids have been replaced with fresher stuff, the paintwork buffed and any missing parts replaced, the 520is and 525is can be really close to new. Motor1 says the cars may end up being sold after they've been lightly restored, and the price tags could reach 15,000 Euros or around $17,700.